I do not know how to use textbroker.com yet. I admit it. I was going to write an article today so I went to the site. They rated me at 3 stars (not bad for a 250 word sample but I can do better) and I can apparently only apply to 3 star jobs…I think. So I clicked on it and it said 11 jobs. I started researching for an article a little bit, clicked back on the article and it was no longer there. After that all the articles were not in my field. Debating on taking one and researching the hell out of it to get on the map at least. But I just do not know anything about corporate nonsense. Hopefully some home and garden articles will turn up. Also I wonder… Am I supposed to reserve it somehow? Hmm. I will figure this thing out and then I will let you know if it eventually makes me money. On the fiverr front, I may need to add another gig for writing. I got a great assignment to do 10 illustrations and a cover. Pretty excited. I’ve always been a split major: writing/illustration. So money in either camp makes me a happy girl. I’m looking for a guest blogger exchange… Let me write for you and I will let you write for me. Let’s expand our clips and audiences. Just let me know what sort of post you are looking for from me. I am looking for some successful tips on breaking into fiction writing. Hit me up and we’ll talk. I have gotten my textbroker account working. They have rated me 3 Stars. I’m guessing that means they’ve just proved that I can speak and write in English. Now I have to choose some articles and get some better ratings to open up the pool to better, more interesting assignments. But first I must prove myself. So tomorrow I will be picking and writing my first article for them. I’ll let yo know how that turns out. But unfortunately it means filling in the dreaded tax form. See first ep of Black Books for my exact feelings on taxes and forms and tax forms. But I shall persevere. On the fictional front: I’ve been working on a vampire novel since I was 14. Well I wrote it when I was 14, then forgot about it for a decade. I found it in a box and read it. I thought: This isn’t that terrible. I should rewrite this. Forgot about it for another decade and have now resurrected it yet again. I’ve mostly finished transcribing/rewriting it back into the computer. Tonight I added another 700+ words. It will probably be done the day before I die but such is life. Writing took a back seat to crippling need for a job. I have been all over the place scrambling to get something that pays enough to keep the lights and heat on while I try to make it. The problem with not figuring out what or who you want to be when you’re older is that you come pre-loaded with bills. Bills upon bills. I would really like to hop a plane to San Diego, book a hotel for a week and just write my face off. Then get some tropical drinks and a tan while counting my imaginary book deal offers. But while trying to get my art career going, I burned through my savings and am now just drowning in stress. My eye is getting that weird twitch. My head is hurting and my stomach is soooo full of acid that eating is super fun. And I am getting laid off on Sunday from my tiny money Christmas time gig. But you know what calms me down? Writing. Got a bad mood? Write about it. Good mood? Write about it. Instantaneously feel accomplished. I even have a fiverr gig for writing to do. I have a story out there trying to get me published and a plan to write for my favorite show. Now with my Christmas gig over, I can try to relax, regroup, vacuum the damned house and write some more. Because my head is just bursting with ideas. And soon, very soon, I will be selling those ideas to someone. Day 7: Writing Career…Snow Day? The short story I wrote yesterday has gotten 2 good reviews so far. Waiting on one more and then Thursday when I’m off, I will be editing it. But I’m pretty excited about the positive feedback. It makes me want to keep going. One beta reader even suggested I just send all my writing to her for review (I think she likes it!) So there’s that! 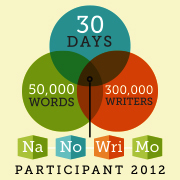 Also signed up for a writing site. It looks pretty interesting. Started filling out my information. I am 47% complete. Whoosh! That’s a lot of completeness for one day. I am feeling pretty accomplished and I made cookies. Today was a good day to get an idea in the shower and spend all day writing it. Well not all day, I had to go to the bank, didn’t I? The rough draft was just finished 10 minutes ago and already 2 people have volunteered to read it and tell me if its crap. That’s good! I like it. It is rough. Tomorrow night I should be able to edit it into something good once the betas tell me what works and what needs clearing up. I was looking at Swoon Reads and wondering if it was worth writing a whole romance just to test it out. Apparently it’s like the Voice for romance novels. 50,000 at the low end just to be considered but if you get picked it’s a book contract: $15,000 advance. Sounds pretty awesome. I might even have a Romance I can rewrite and submit. Something to seriously consider. It’s not as if there is a direct path to publishing. Got to get my oars in the water somewhere. I’ll keep you posted on what happens next. Yesterday I went to my cousin’s wedding. I presented him with a nice typewriter, all old and dirty and in working order. He was thrilled because like me, he loves old things and writing. But that’s about all I did for my writing career that day… Other than observe people and wander if they looked like friends of mine from the future. That counts as character designing, doesn’t it? Today was a work day and it snowed. I almost got murdered a zillion times on the way home and saw a crashed bus. Everyone was sliding all over the ice and it was scary as hell. My car she doesn’t like the ice. She doesn’t like anything, actually. She is annoying and whenever there was a hill she just said, “Nope, go around.” So it took an hour plus to get home from work. And then it was illustration time! I finished two illustrations and then…. I’m researching places to send my fiction. A few of them have writing fees. I’m wondering if the fees are worth it. I mean if there’s a good chance of getting published I will pay it. But if there is no chance…well, I’d rather pay for electricity. But anyway, today was spent compiling a list of places to send short stories. I want to get a few of them published and then I am going to edit a bunch of my novels and start pitching them. If anyone has any tips, comment. I am willing to do a lot to break into publishing. I think underneath it all that telling stories is the most amazing thing you can do with your life. Because it makes people think. It makes people feel and it imagines the future for scientists to puzzle out the magic behind whatever nonsense you’ve invented. Anyway, back to the list. Need at least five places to send submissions. Tomorrow I will be creating a submission Excel Spread Sheet. I read several ‘Breaking into Fiction’ Articles and now I must steal all their info and use it for my nefarious goals.